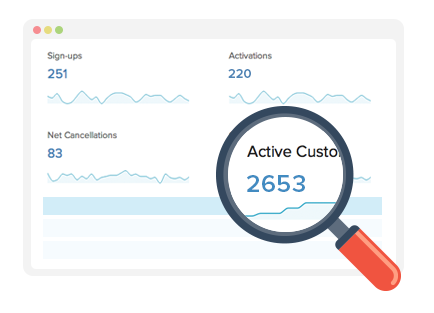 Zoho Subscriptions is powerful recurring billing and subscription management software for small businesses. 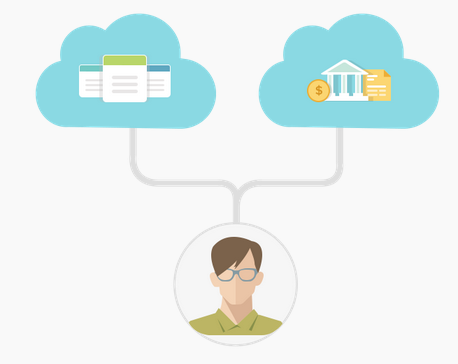 This cloud based business software will help you to manage your entire subscription life cycle from recurring payments to handling customer subscriptions. Reduce administration time and increase efficiency with consolidated invoices for recurring payments. Create billing schedules and send out professional invoices, automatically, on time. Never miss a recurring payment date again. 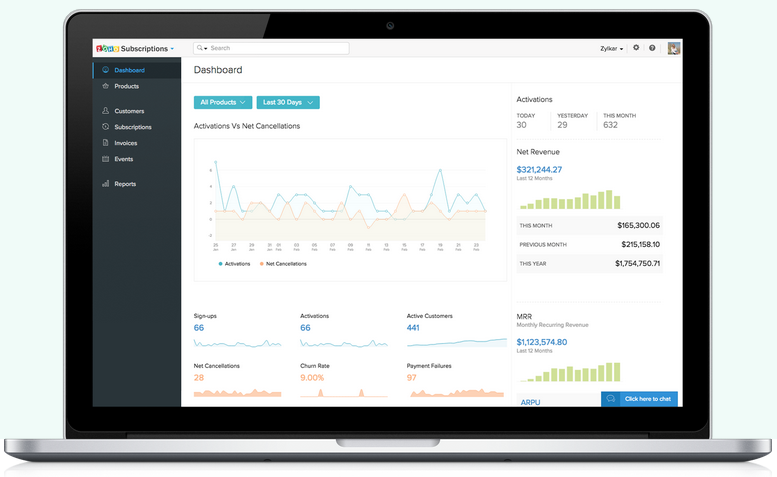 Generate reports on customer subscriptions and payments and business revenue. Use accurate information to make the best decisions. Zoho Subscriptions comes as a standard integration to Zoho’s online accounting tool, Zoho Books. Create professional looking invoices that match your corporate identity and business process. Zoho Subscriptions makes automation of this process easy. 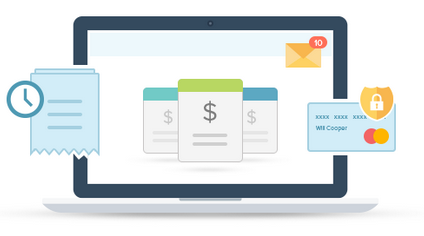 Invoicing, payment, card failures, prorating payment amounts - all can be automated in Zoho Subscriptions. 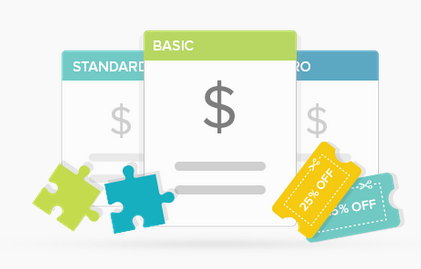 Zoho Subscriptions allows you to apply add-ons and discount coupons, ​group invoices of multiple subscriptions, handle upgrades/downgrades and issue refunds to subscribers. Get more insight into your organisations subscription base, see data presented clearly in attractive charts, use these metrics to make more informed decisions. Slice and dice the data and make informed decisions to see your business grow. Capture subscription transactions into Zoho Books, Zoho’s online accounting software. Use this app combined with Zoho Subscriptions to get an end to end solution for subscription management and accounting/finance. 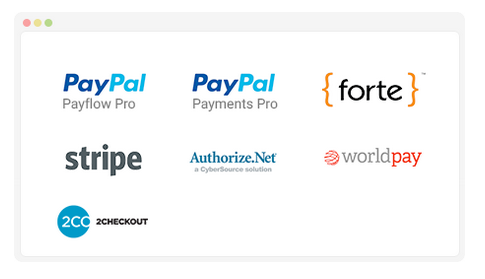 Zoho Subscriptions integrates to some of the best known payment gateways. Get you chosen payment gateway set up and start accepting online payments. Contact Mangoho now for more information on Zoho Subscriptions or any other of the 25+ Zoho business apps designed to make your business run more smoothly.